Could someone please share any config guide regarding RFS6000 Guest Captive Portal on External Radius Server (Aruba Clearpass)? 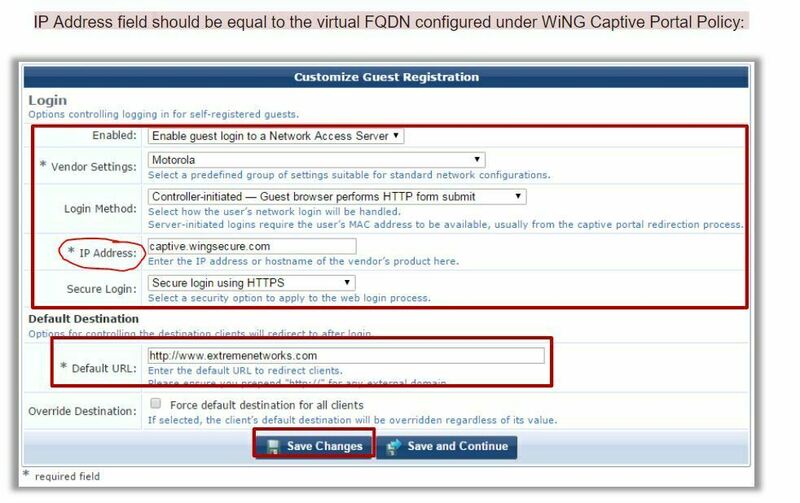 What do we need to enter in Captive Portal Server Host since we don't have any FQDN? Thanks for your comment. This makes sense now. Does it mean that this field should match the non-resolvable FQDN been configured in Captive Portal Policy? We have implemented the change. The issue we having now is that the guest users see the SSL Cert warning message. There is SSL Cert already present on Aruba Clearpass. Do we need to have the same cert on RFS6000 as well?